As a rule, I try to avoid film franchises at all costs. However, I have to make an exception with this week’s film, Indiana Jones and the Last Crusade (DVD/Download). Even though it stands on the shoulders of the classic Raiders of the Lost Ark (and on the not-so-classic Temple of Doom) to me this is the best Indiana Jones film of them all. Sean Connery, snappy dialogue, and creative problem solving- what’s not to like? Perhaps the reason I enjoy this third film in the trilogy so much is that finally Indiana Jones is taken down a peg. For once, he’s not the smooth archeologist who can con a woman into his bed even faster than he outruns a giant boulder. In Last Crusade he’s just Henry Jones “Junior”- an ordinary son trying to repair the relationship with the father who abandoned him. Sure, they have action-packed zeppelin escapes and a tense run-in with Adolph Hitler at a book burning party, but at the end of the day this is all normal family drama. Like a really exciting episode of Parenthood. And let’s face it, watching Indy and his dad solve riddles and outsmart the bad guys in their search for the Holy Grail is a lot more fun than watching people eat monkey brains. Just sayin’. For me, the banter between Sean Connery and Harrison Ford is what makes this film so enjoyable. And how cute does Connery look in the sidecar of Indy’s vintage motorcycle?? That bucket hat kills me. 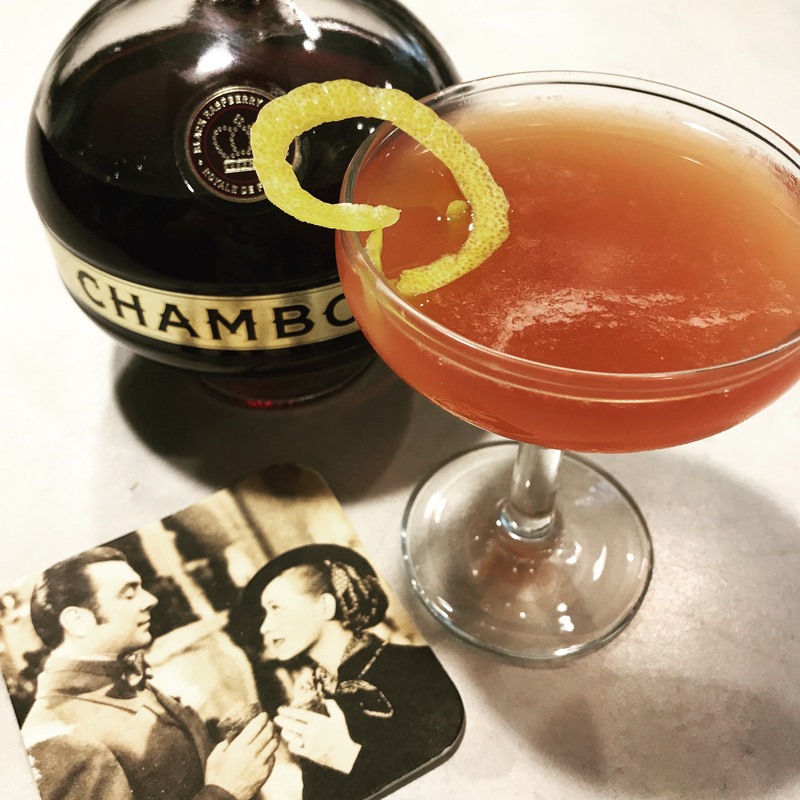 While watching Indiana Jones and the Last Crusade, I recommend drinking a Sidecar. 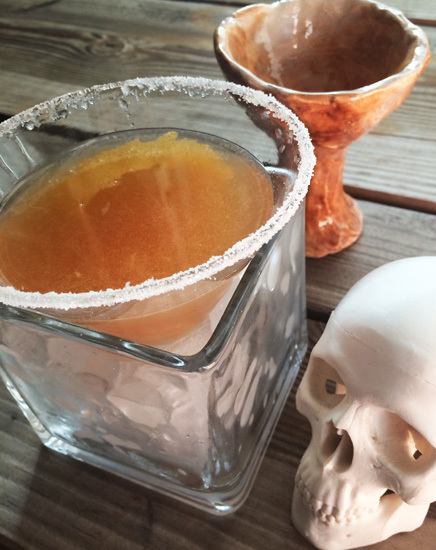 Combine cognac, lemon juice and Cointreau in a shaker filled with cracked ice. Shake until chilled, then strain into a glass that has been rubbed with lemon juice and rimmed with sugar. Garnish with a lemon twist. When Indy finally reaches the Holy Grail, he must choose which glass offers life, and which death. I can’t say my stakes are quite so high, but it is always a challenge to find the best glassware for a drink. If only I could find the magic glass that would turn alcohol into something healthy, and not something that will eventually pickle my liver and cause my skin to dry out. Now that’s the Holy Grail. Cheers! Posted in Action/Adventure/Heist and tagged Harrison Ford, Indiana Jones, Last Crusade, motorcycle sidecar, Sean Connery, Sidecar cocktail. Bookmark the permalink.